I had taken the week off after my cousin’s wedding. 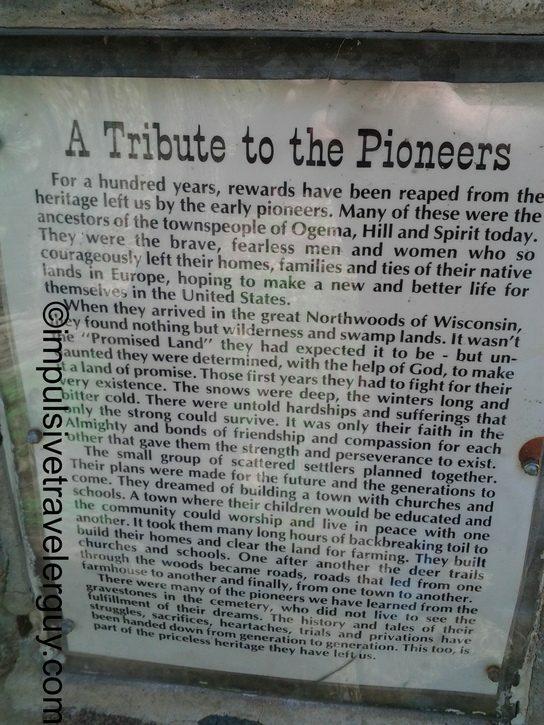 My parents wanted to take a family trip to somewhere close. 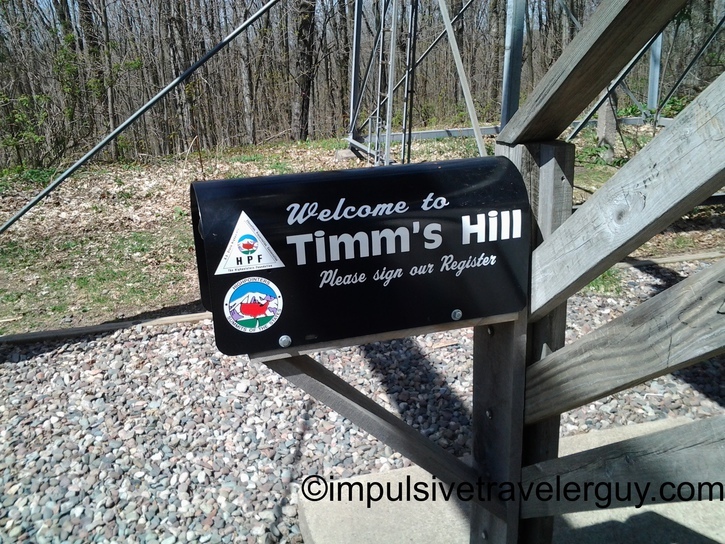 My dad wanted to see Timms Hill, which is the highest natural point in the State of Wisconsin. It is about an hour north of Marshfield by Medford. 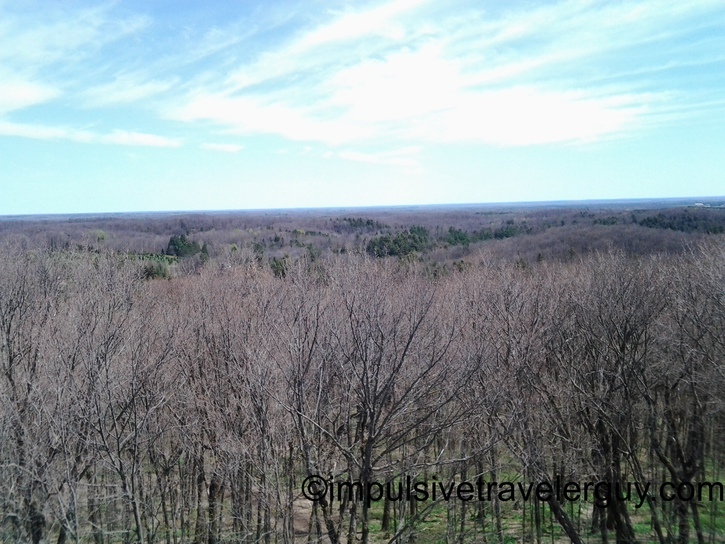 On Monday morning we hit the road and went up to Medford. We arrived and parked in the parking lot. 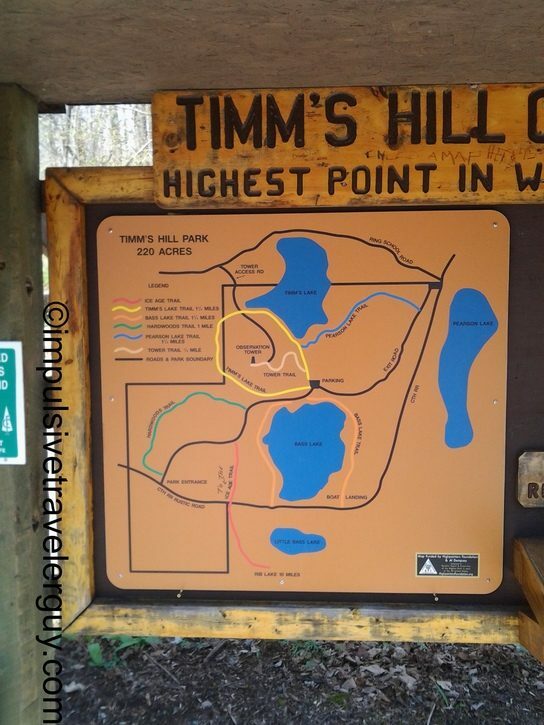 There was a sign with a map of the park and all the trails there. 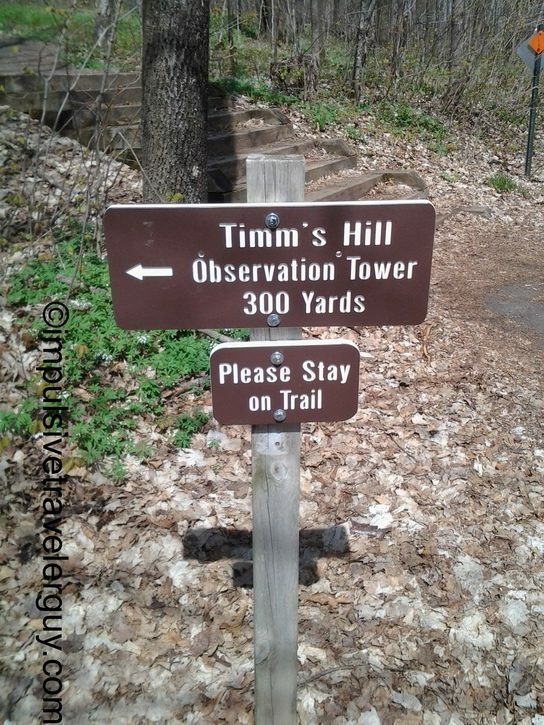 A little bit further there was a sign directing us to the trail that went to the observation tower. 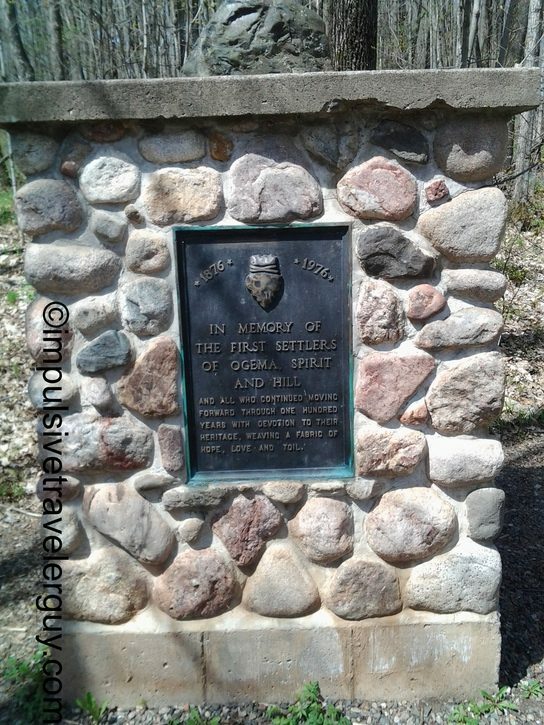 A little bit down the trail was a monument in dedication to the early pioneers of the area. 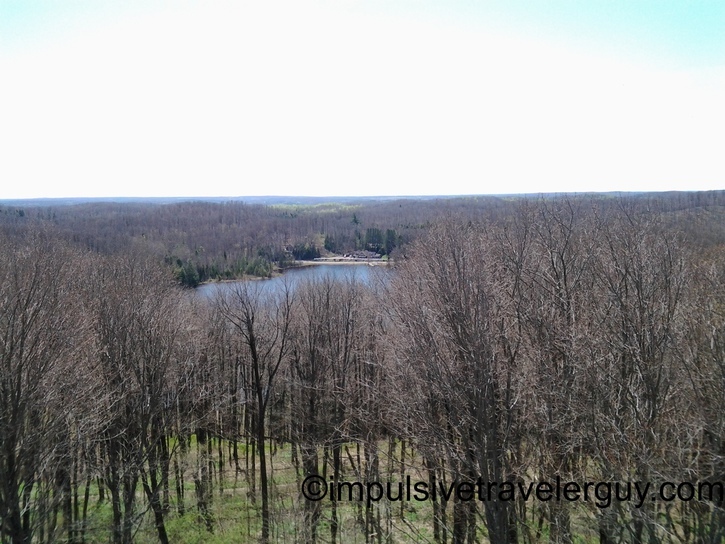 It was a decent climb up the hill to get to the observation tower. 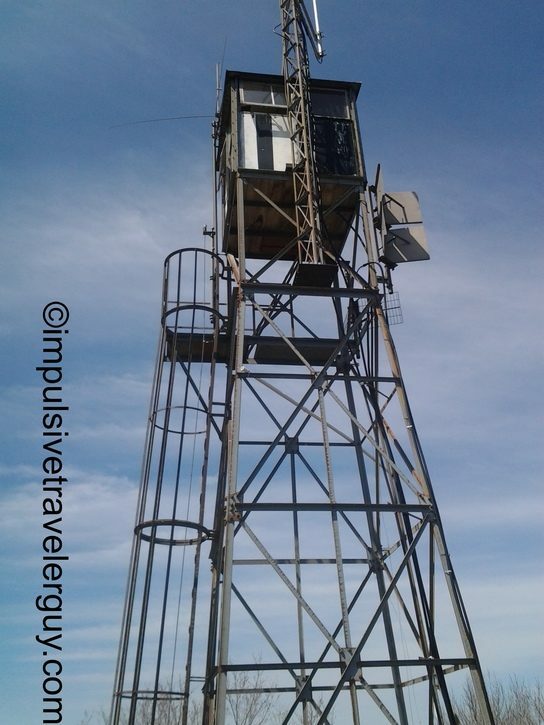 There was a ranger tower next to the observation tower. 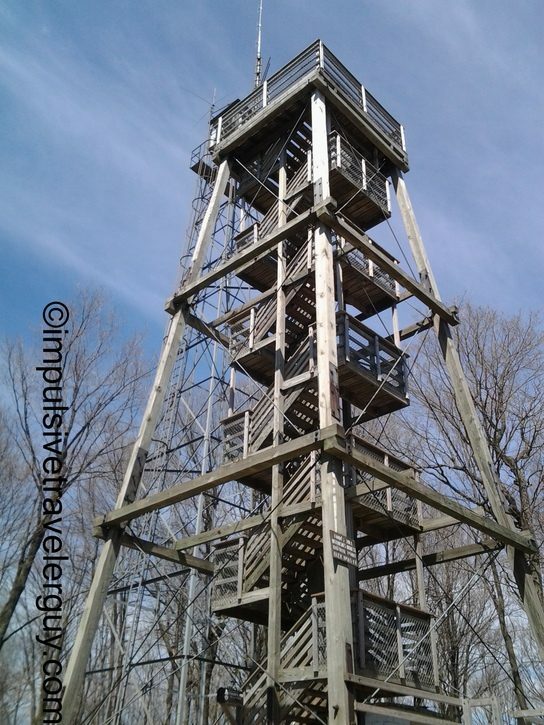 When I climbed the observation town, you could hear the radio going with all the different towers checking in and reporting various weather data. At the bottom of the observation tower was a mailbox for the Highpointers Club to sign their register. Upon climbing the many steps, you could definitely see for miles. 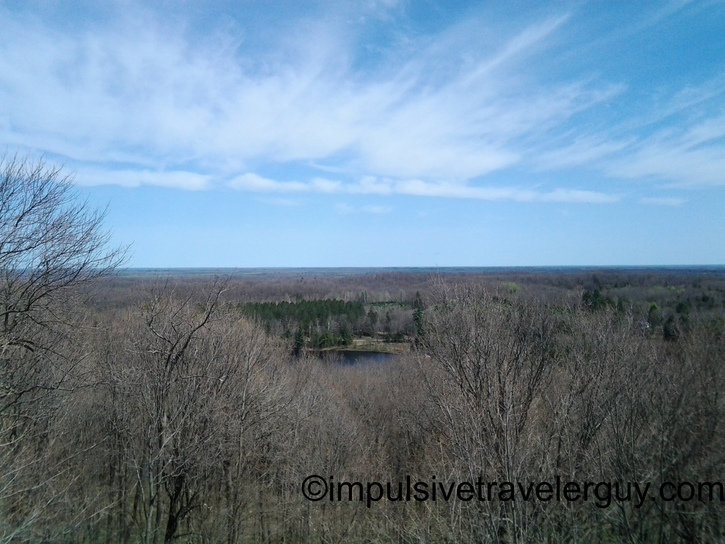 It was definitely a nice day and cool to see the highest point in the State of Wisconsin.